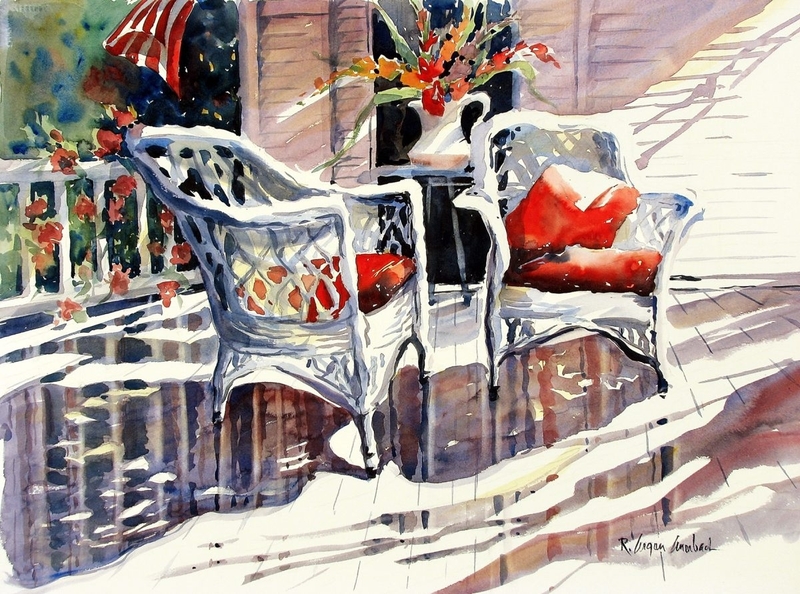 Rita Auerbach’s painting “Shadow Puddles” is on view in East Aurora’s Meibohm Fine Arts Friday through May 24. Thirteen East Aurora galleries and businesses will open their doors to ambling art lovers from 5 to 9 p.m. Friday for the village’s annual Spring Art Walk. The event, meant to spur a bit of intraregional tourism and boost the village’s already substantial reputation as a creative community, will feature an impressive range of solo and group shows. Highlights include a new body of work by accomplished Buffalo watercolorist Rita Argen Auerbach in Meibohm Fine Arts (478 Main St.) and a 20-person show highlighting members of the East Aurora Art Society in the Roycroft Chapel (5 Grove St.). Painter Alixander Martin and Karen Carlton are showing new work in RedFISH Art Studios (21 Elm St.), while the School House Gallery (1054 Olean Road) will show pieces by sculptor David Hughes. The event organizers will run a free trolley service throughout the evening. For a map and list of exhibitions, visit www.meibohmfinearts.org or call 652-0940.